GEORGIA’S CAPITAL Tbilisi is a multi-cultural, multi-ethnic, and multi-religious city located at the intersection of Asia and Europe — and it perfectly blends the vibe of both. Architecture, cuisine, traditions and local lifestyle have the influence of Eastern and Western worlds. The city is very budget-friendly; taxis here are cheap, nightlife is easy on your wallet, and meals are affordable. 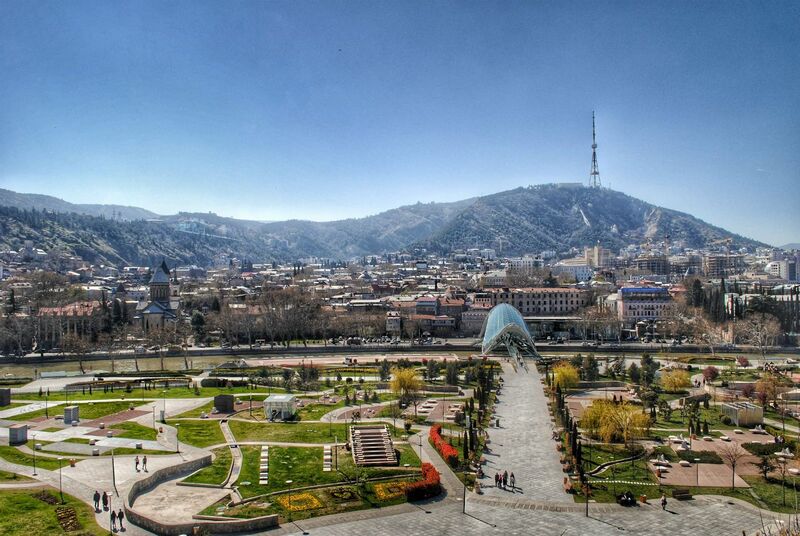 Best of all, Tbilisi offers a lot to do for free. 1. Join the Tbilisi free walking tour. If you are tight on the time you can spend in Tbilisi, or would like to experience the city with other like-minded travelers, join the free walking tour every day at noon and 5 PM at Freedom Square. No matter the weather or the public holiday, the tour is always available. How to get there: Take a subway or a bus to Freedom Square (a.k.a. Liberty Square) and walk down to ex-Tbilisi City Hall building, the one with a clock on top. 2. Visit the Writer’s House. The building was the mansion of David Sarajishvili, founder of Georgian brandy, Doctor of Philosophy and Chemistry, and famous philanthropist. Built in 1905 by a German architect, the house was the meeting point for writers and other artists. Today it remains a place where writers and artists can share their work. The second floor is under construction, but you can peek at the ground floor and garden, and look at the pictures on the walls. The terrace has custom-made ceramic tiles from Villeroy & Boch Company. How to get there: Walk towards Leonidze Street from Freedom Square. Turn left on Machabeli Street and walk till number 13. 3. Wander through old streets. 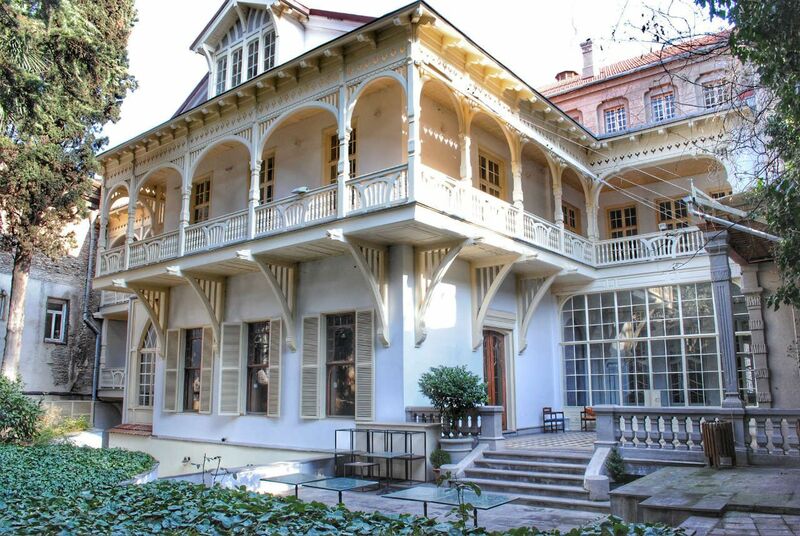 If you’d like to see the old residential architecture of Tbilisi, you need to stroll down the streets of old town, particularly Betlemi, Gomi, and Botanikuri Streets. Betlemi Quarter is one of the oldest districts of the city where you can see beautiful examples of residential houses, churches, and even a fire-worship temple called Ateshgha. How to get there: From Freedom Square, turn to Dadiani Street and walk till the end towards Asatiani Street. Turn left and walk down to Puris Moedani (Bread Square). Turn right on Betlemi Street. 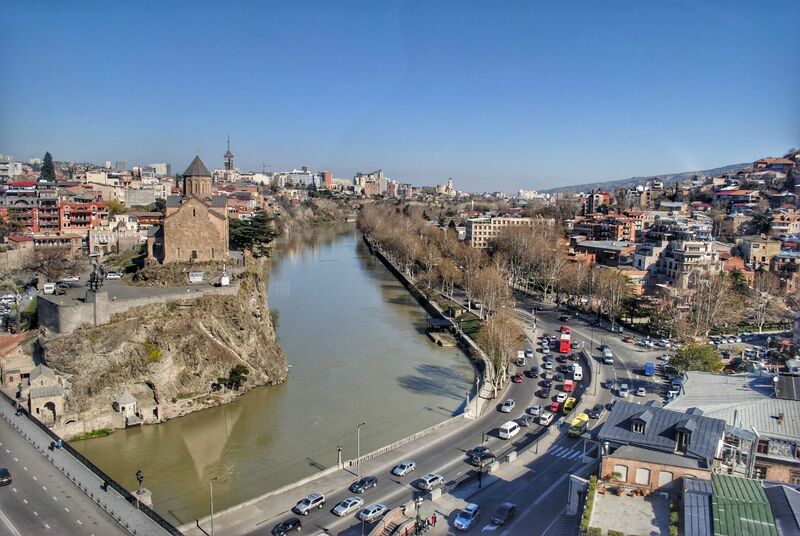 Narikala Fortress is the identifying landmark of Tbilisi. It was a defense tower during the various invasions Tbilisi has had to handle; however, what you see today is a small part of what it used to be. Climbing the fortress is the best way to get panoramic views over the city’s old district. Be careful while climbing those walls, there are no fences to prevent you from falling. How to get there: From Meidani Square, walk up the steep cobblestone street. You can also get to the fortress from Betlemi Street. 5. Visit Mother of Georgia. The silver statue of a woman with a sword and a cup in her hands is visible from most parts of the city. The twenty-meter statue of Kartlis Deda (Mother of Georgia in English) wears a traditional dress and symbolizes the Georgian character. With a cup, she welcomes those who come as a friend; and with a sword, she is ready to fight those who come as an enemy. How to get there: Once at Narikala, walk a narrow path towards the statue. 6. Unwind at Rike Park. Relatively new to the recreational scene, Rike Park is in the old town and a perfect place to relax after your hike to Narikala. Located on the left bank of Mtkvari River, the park features plenty of spots to sit down and relax. How to get there: Cross the bridge from Meidan Square or take the metro to Avlabari and walk down towards Baratashvili Bridge to find the stairs leading to the park. 7. 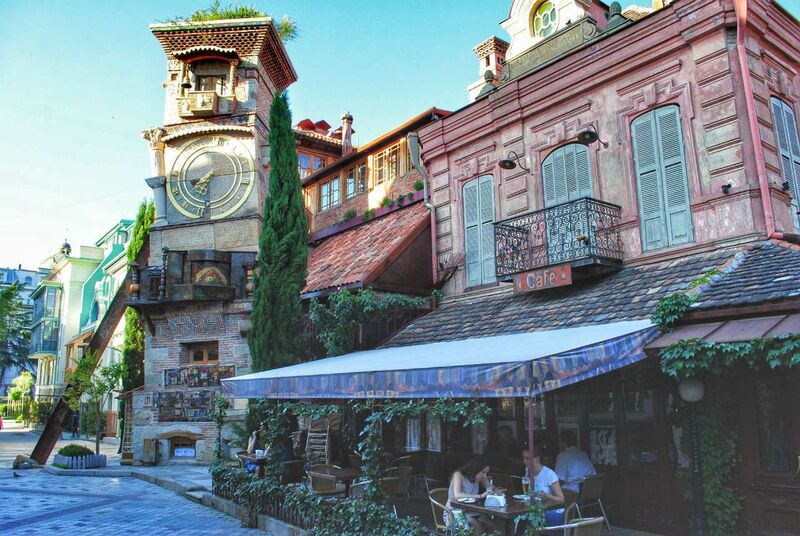 Visit the handmade Clock Tower. The Clock Tower is the masterpiece of famous Georgian painter, sculptor, and playwright Rezo Gabriadze. Every hour, you can witness an angel ringing the bell with a small hammer. At noon and 7 PM, you can watch a puppet show called The Circle of Life created by Gabriadze. How to get there: Cross the Peace Bridge from Rike Park, pass Erekle II Street and go to Shavteli Street. The clock is right next to the church and a café. It’s hard to miss. 8. Visit the Dry Bridge market. Even if you are not a fan of vintage or second-hand junk, wandering through Dry Bridge is an exciting experience. You never know what you might find: Soviet flags or medals, old cameras, china, toys, VHS cassettes, typewriters and even rusted locks and old tools. It is open all year long but closes down in extreme weather conditions. How to get there: The market is in Dedaena Park and you can either take a public transport to the stop called Justice House or walk from Baratashvili Bridge. 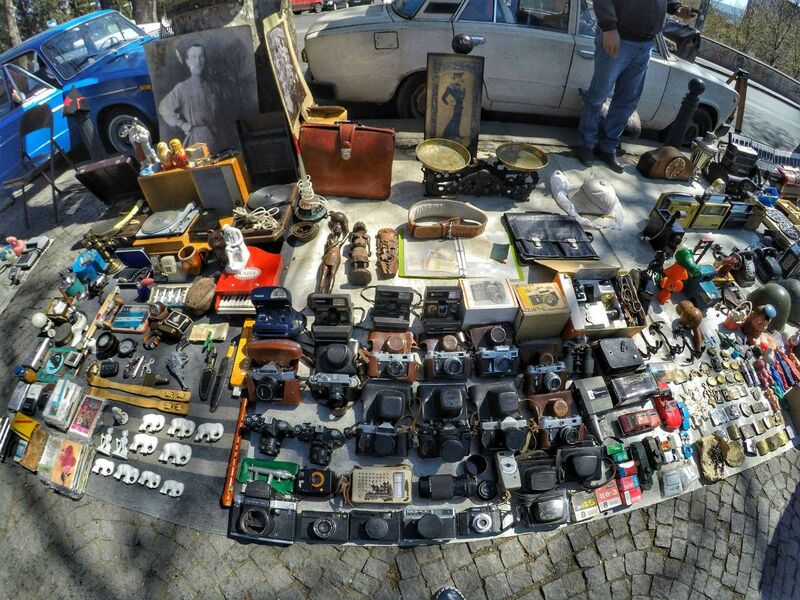 When the weather gets warm, and the sun starts to shine, Tbilisi hosts a flea market on Sundays every two or three weeks in Dedaena Park. Here you can look at contemporary handmade crafts, enjoy homemade beverage and snacks, listen to music and meet trendy local youth. How to get there: The Flea Market occupies one side of the park, opposite to Dry Bridge. For exact dates check their Facebook Page. 10. Visit former Hotel de Londres. The Hotel London was the most prestigious hotel in the city between 1875 and 1914. It hosted famous people, such as the Norwegian writer Knut Hamsun. Now a residential house, the building still holds its charm and history. 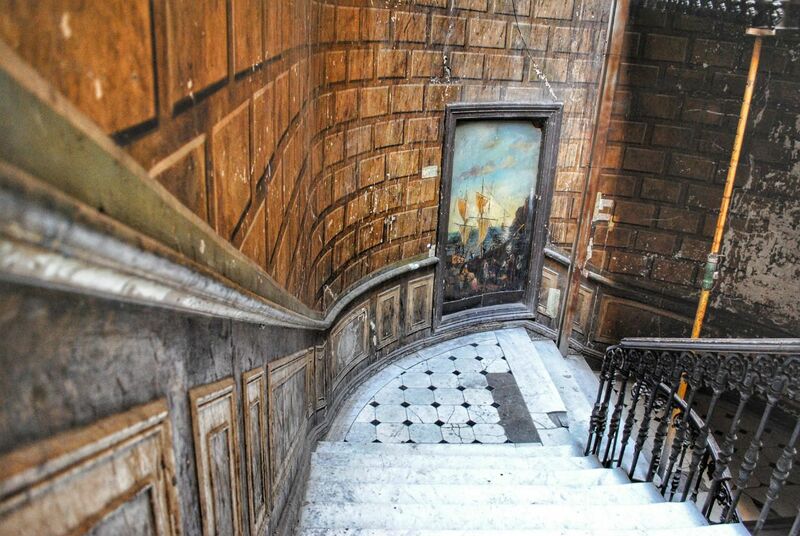 Peek in the lobby to see the painted walls still present after almost three centuries. How to get there: Cross the Dry Bridge towards Atoneli street. The house is right at the corner, in front of the park. If the door is closed, ring a bell and ask someone to let you in. 11. Visit a unique publishing house. Tbilisi hides Stalin’s secret underground publishing house in Avlabari district. The printing house is unique in the world. It was built in a well, 17 meters below the ground. 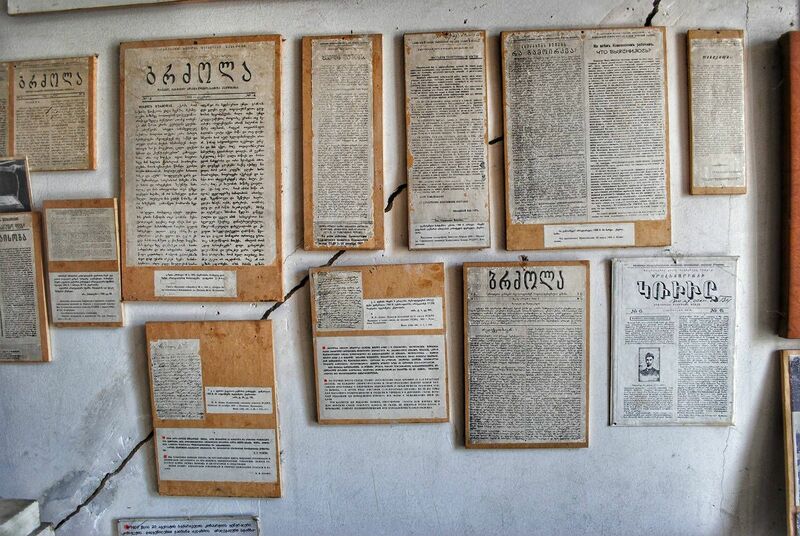 Young revolutionists printed nearly three thousand newspapers, brochures, and leaflets in three languages, Georgian, Armenian, and Russian, between 1903 and 1906. That propaganda was distributed across Russia and Europe. How to get there: Take a subway to 300 Aragveli station and walk 15 minutes till Kaspi Street #7. 12. Look over Tbilisi from Mtatsminda Mount. Mtatsminda is a recreational area and amusement park in Tbilisi, located right at the top of Mountain Mtatsminda. Enjoy panoramic views over the city. Besides the entertainment area, the Mount is home to the Georgian TV Station and a pantheon where many famous local artists and poets rest in peace, including Ilia Chavchavadze, the founding father of modern Georgia. 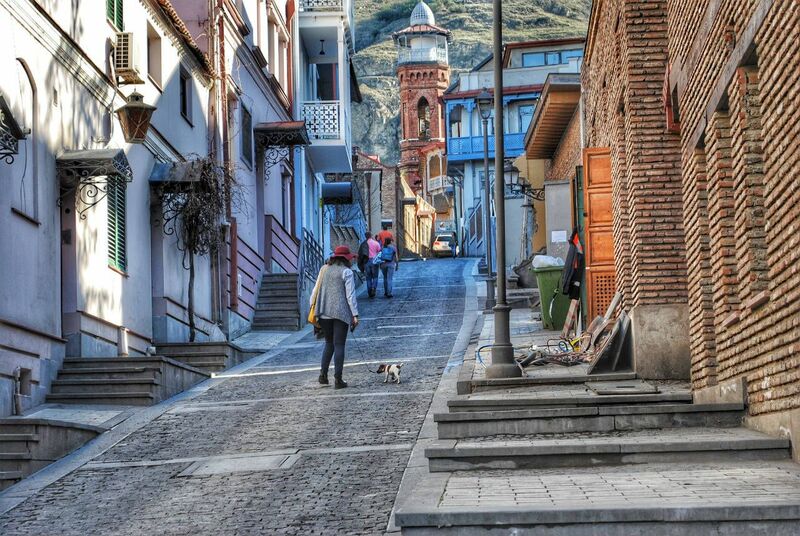 How to get there: Walk up from Besiki Street and follow the steep path towards the mountain. The pantheon is in the middle of the road towards the Park. 13. 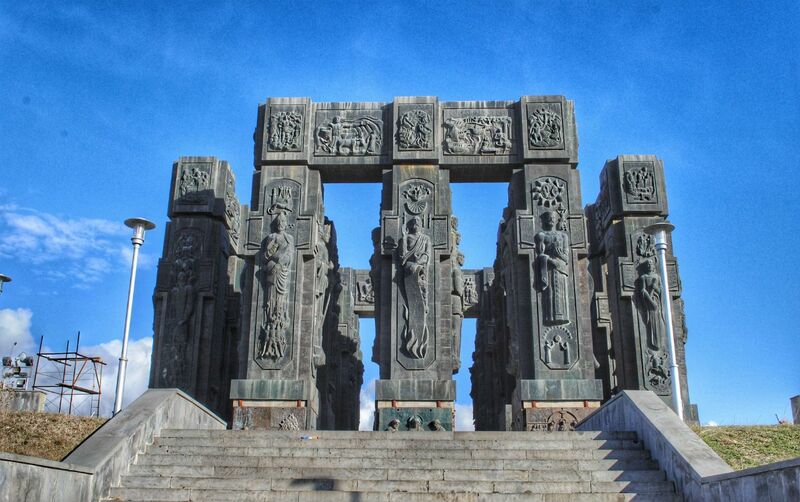 See the Georgian Stonehenge. The Chronicles of Georgia is a 30-meter tall pillar portraying Georgian heroes, kings, and queens. The bottom part of the monument depicts biblical scenes. Besides the history lesson, you will enjoy panoramic views over city’s outskirts, and a reservoir locals call “Tbilisi Sea”. How to get there: Take a metro to Grmaghele station and take the #60 bus from there to the Military School stop. More like this: Old Tbilisi, Georgia: Decaying beauty, or birth of a tourist trap?